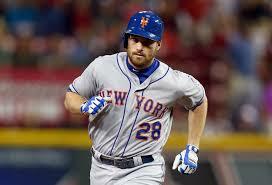 WASHINGTON - The Washington Nationals and Daniel Murphy have agreed on a 3 year, $37.5M contract. The first baseman went 16 for 38 (.421) with 7 home runs and 11 RBI during the 2015 post season for the New York Mets. Yankees trying to move Nova ? Dirt Infield in 2016 for Rogers Center ?